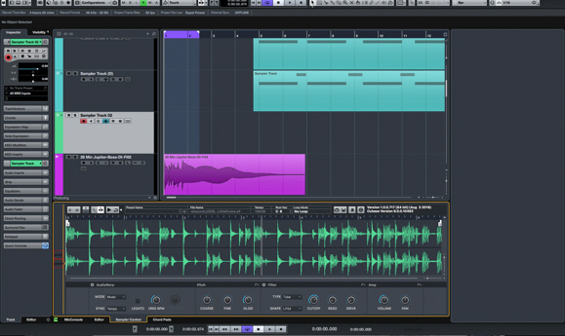 Here’s Cubase Pro 9, the latest update from Steinberg. On this article you can read about all of the new features, including videos and pictures. Firstly introduced in 1989, Cubase has always maintained the philosophy of being a music creation tool. During the 90s as the advent of more computer power allowed to process audio natively, Cubase evolved unprecedented sound processing capabilities compared to much more expensive direct-to-disc recording system of the time. Nowadays it’s the DAW of choice of many of the top producers in the world Hans Zimmer to Dirty Loops. Version 9 is the latest incarnation of Cubase and it’s arguably the most flexible, innovative and reliable piece of music software available on the market today. Cubase 9 has new tabs to access all functions from the same windows which makes switching between the arrangement, mixer and editor a lot easier. There is a new layout for the toolbar and the transport controls are now resident at the bottom of the window (the floating transport bar is still available). Along with more improvements on the user interface, this new look is a really big improvement in the production workflow and we immediately felt the difference when we first started using it. Cubase 9 has now with a built-in sampler! No need to load it up, it’s always there ready to be used. Audio can be dragged directly from the arrangement and the sampler will automatically distribute the sample across the keyboard. The warp function allows to maintain the tempo of the audio independently from the pitch and an interesting glide mode allows to modulate the pitch whilst the audio stays in synch with the rest of the song. It’s full great functionalities like crossfade loop, advanced filtering, flexible envelopes and most desirable features that you would expect from a modern sampler. Now an audio track can be passed through a vst instrument, transforming soft synth into powerful filter and effect processor. 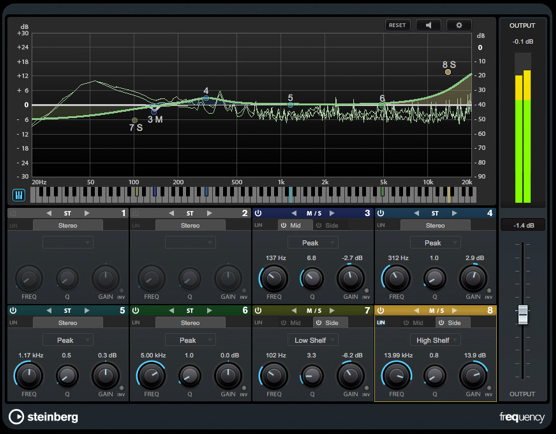 This is a real game changer for mixing, sound designing and creative processing. 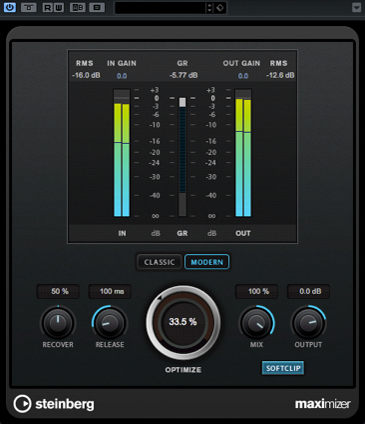 Frequency EQ – This is a powerful equaliser with individual mid/side controls on each band, extensive choice for filtering, cross-over points and curves. Each band can be soloed and critically, switched to linear phase which makes this EQ extremely accurate and worthy of mastering work. 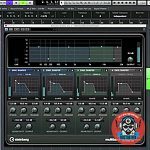 The interface of some of the classic Cubase plugins has been updated, like the compressor, envelope shaper, gate, limiter, and brickwall limiter. The Maximizer has been updated with a new algorithm that allows for even more effective loudness control and transient preservation. The AutoPan has been improved a lot and it now offers the possibility of designing custom patterns, selecting random ones and smoothening panning routines. We have been waiting for this feature to be implemented for sometime. Now every movement made on the mixer becomes an event in the history tab, making it possible to undo everything: Fader, pan, sends, Channel/EQ settings, pre/post fader, cue sends, routing etc. It is now possible to have multiple lines of markers which facilitates working with complex arrangements, soundtracks, long pieces of music and comping. Additionally all marker tracks can be exported as cycle markers along with audio mixdowns. Cubase pro 9 also includes 2 new libraries: Caleidoscope for Sampler Track with more than 240 presets and Production Grooves for Groove Agent SE with 50 new kits. More about Cubase on Steinberg’s website. Have you tried our mixing, mastering and music production service yet?